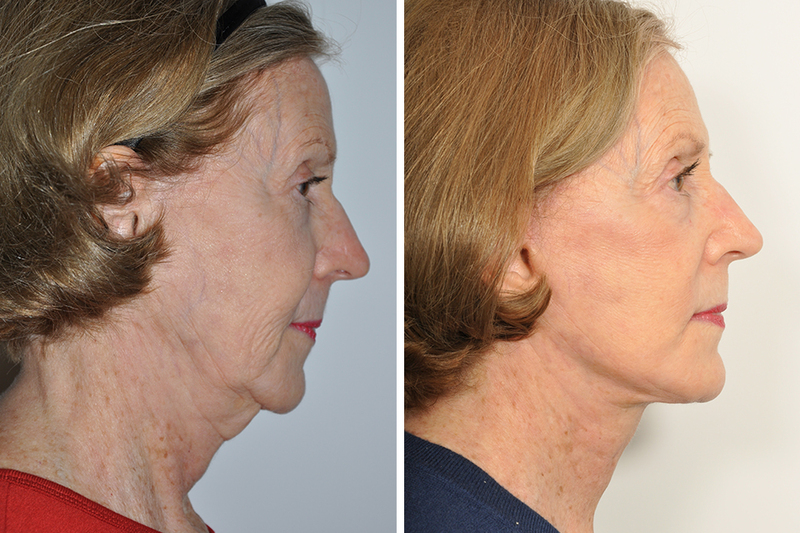 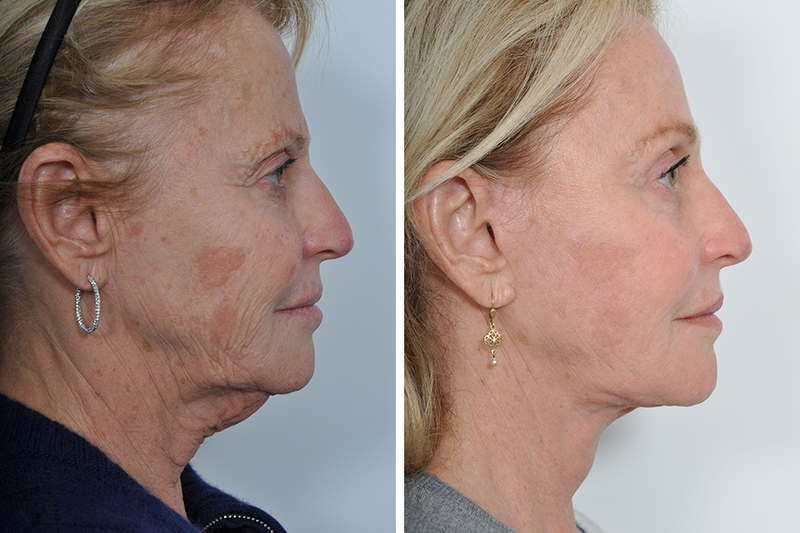 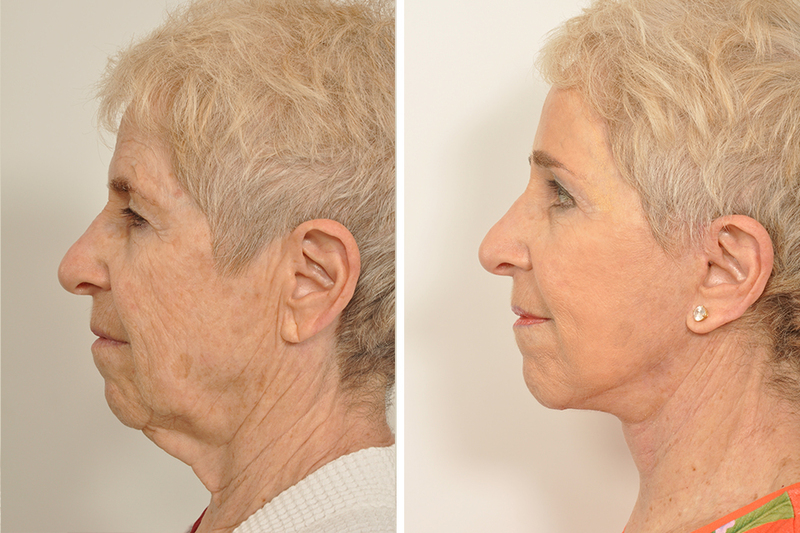 During the past decade Dr. Rosenberg’s platysma muscle suspension technique has proven remarkably safe and effective in rejuvenating the aging face. 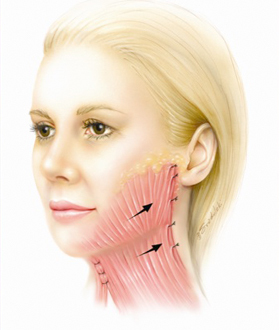 Dr. David Rosenberg is board certified in Facial Plastic and Reconstructive Surgery as well as Otolaryngology-Head and Neck Surgery. 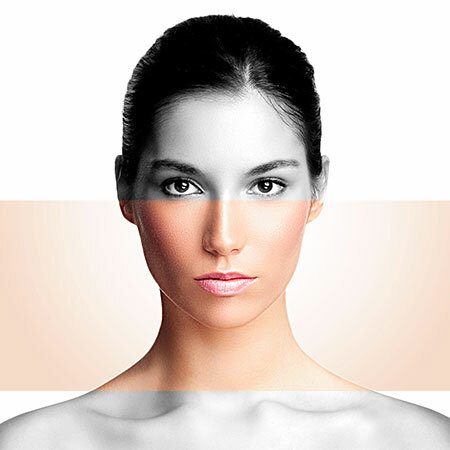 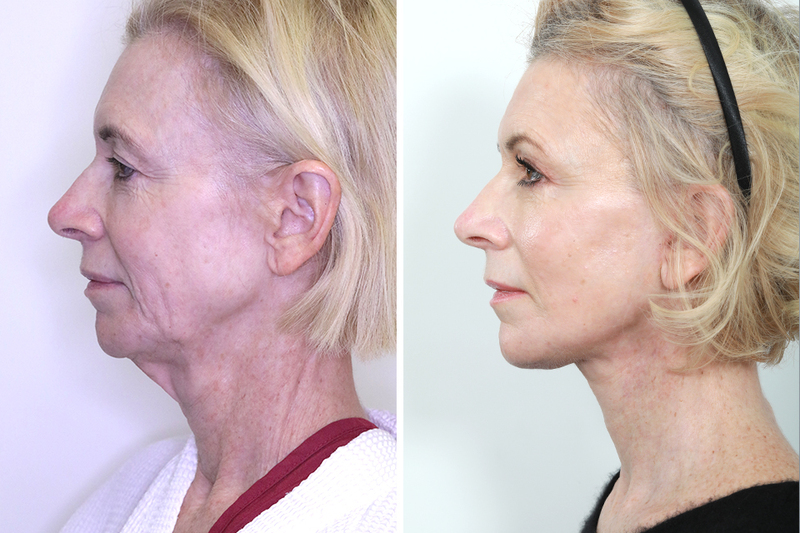 With this combined expertise and super specialization, Dr. Rosenberg has taken the lead in performing facelift surgery that is almost entirely muscular in nature. 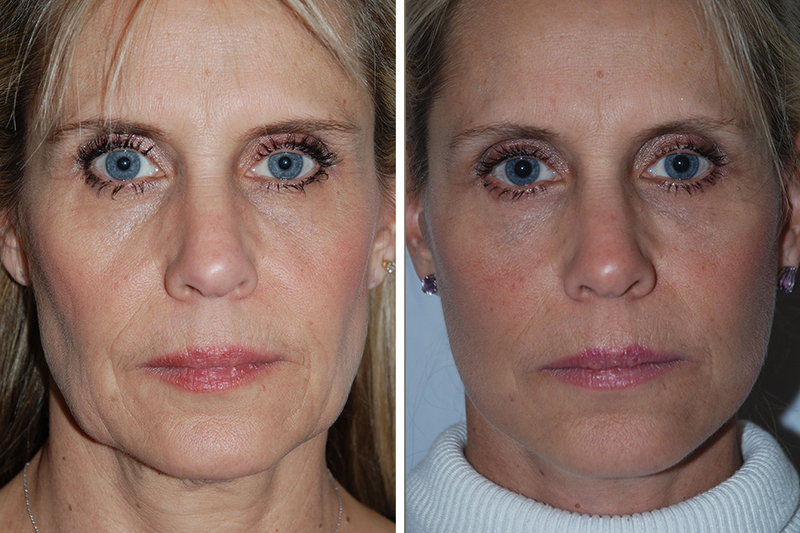 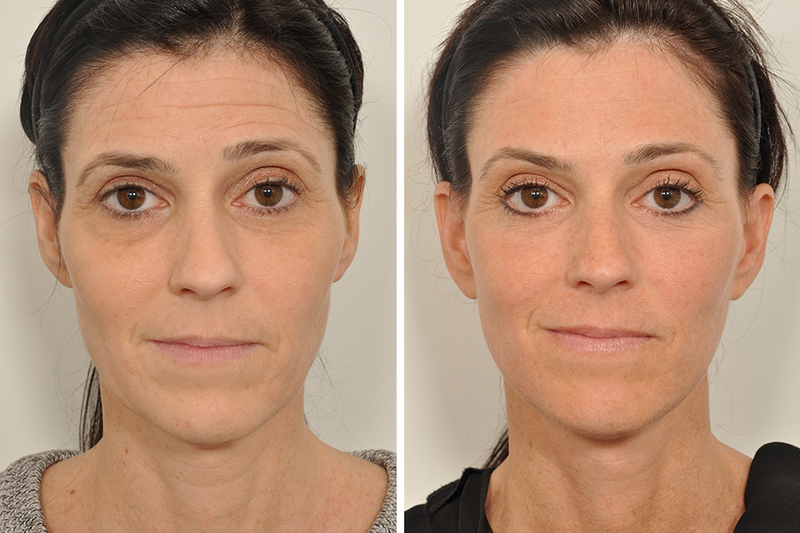 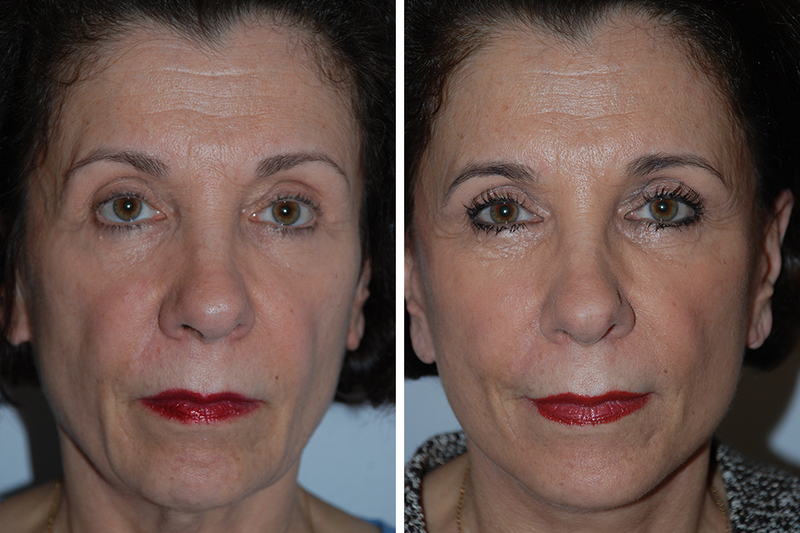 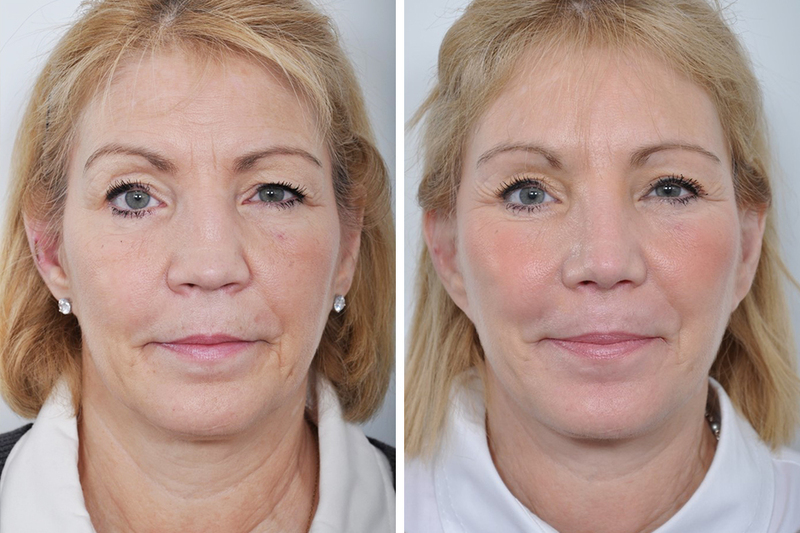 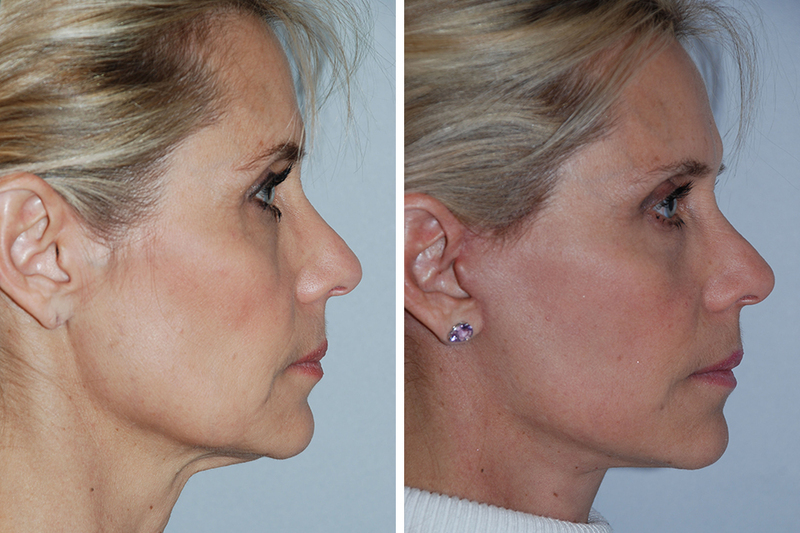 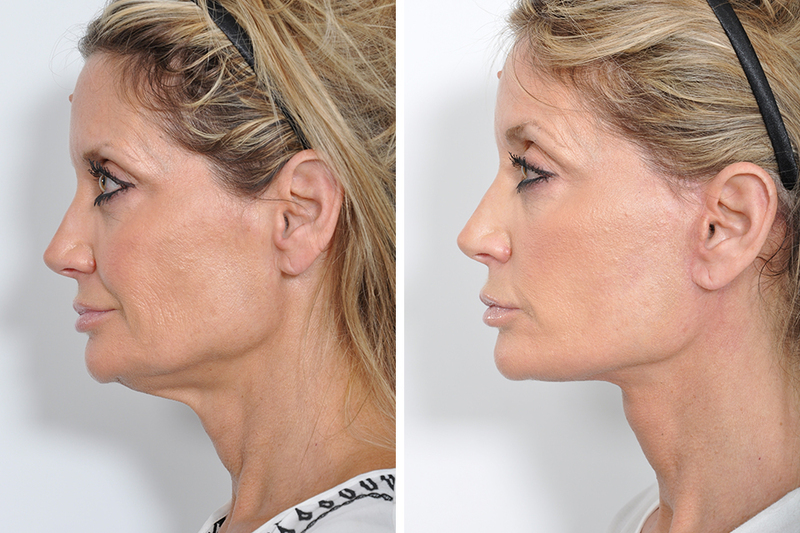 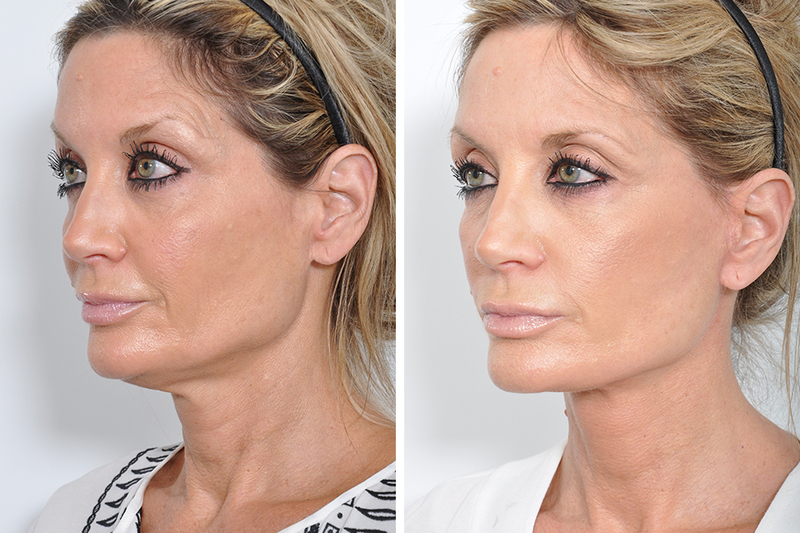 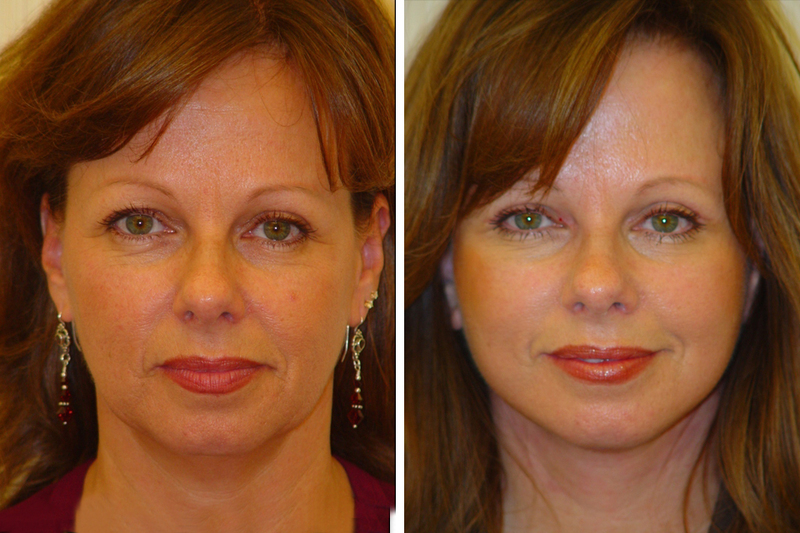 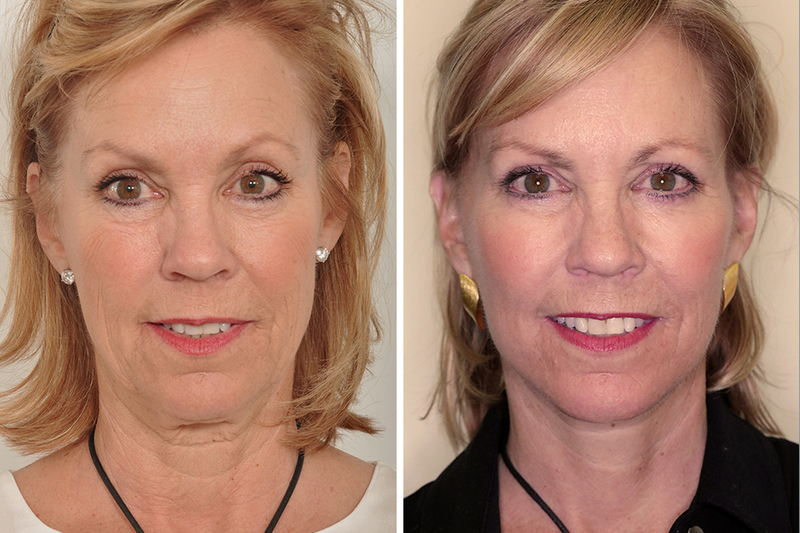 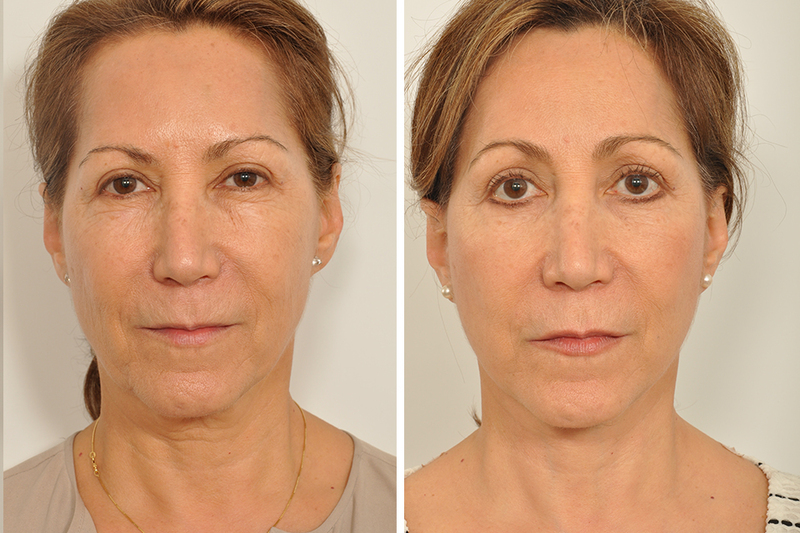 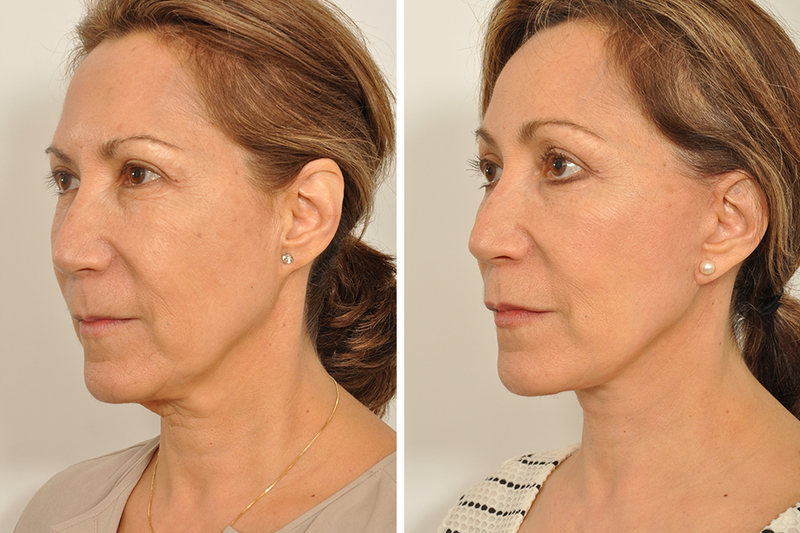 This surgical approach represents important modifications of the time-tested Deep Plane Facelift. 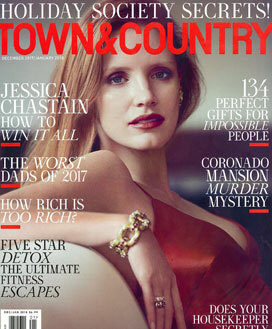 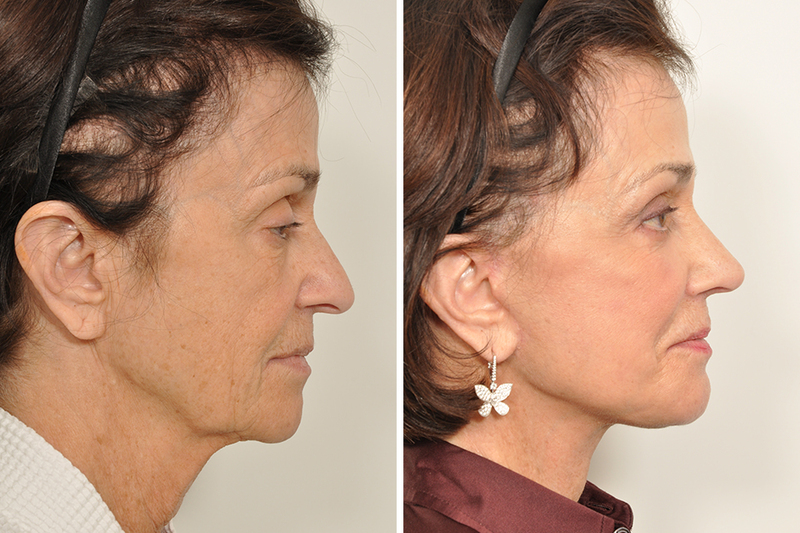 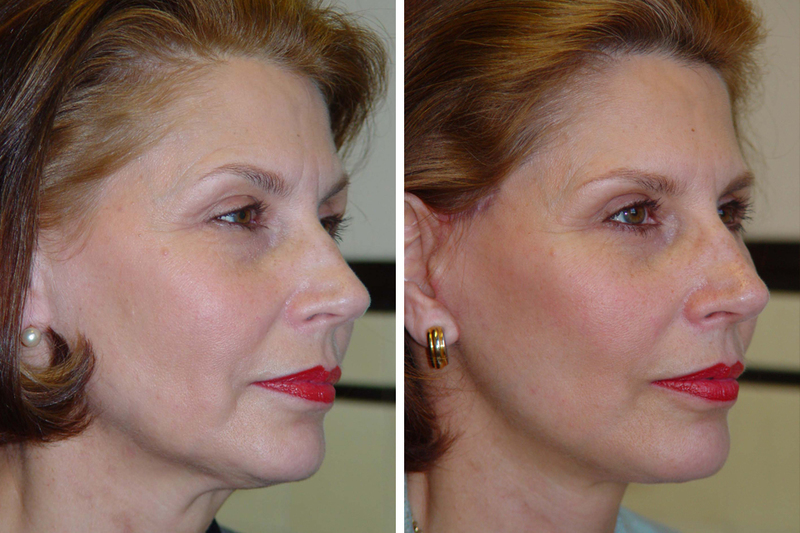 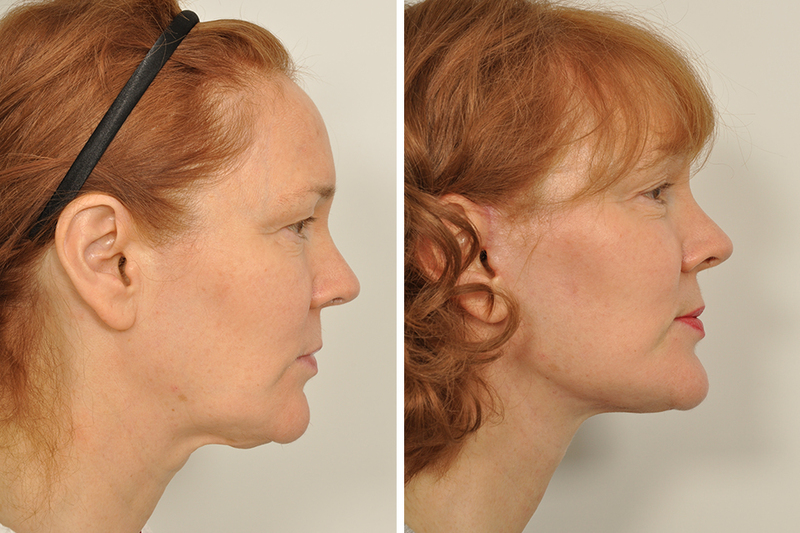 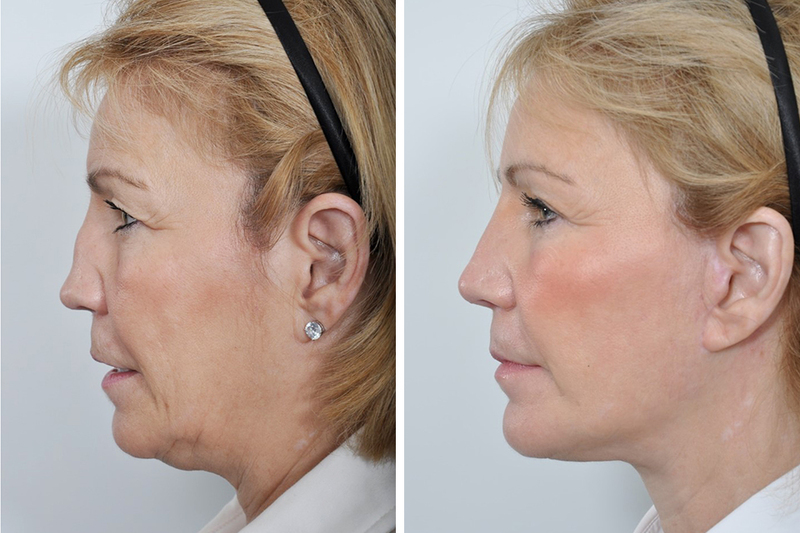 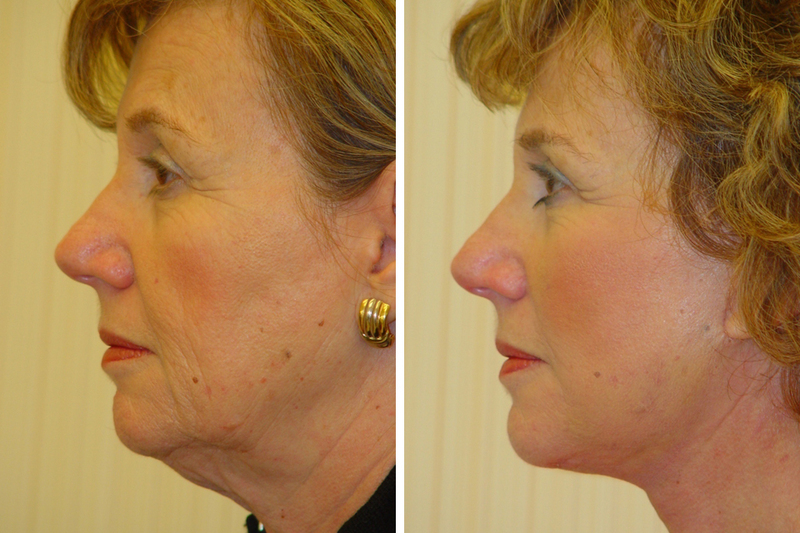 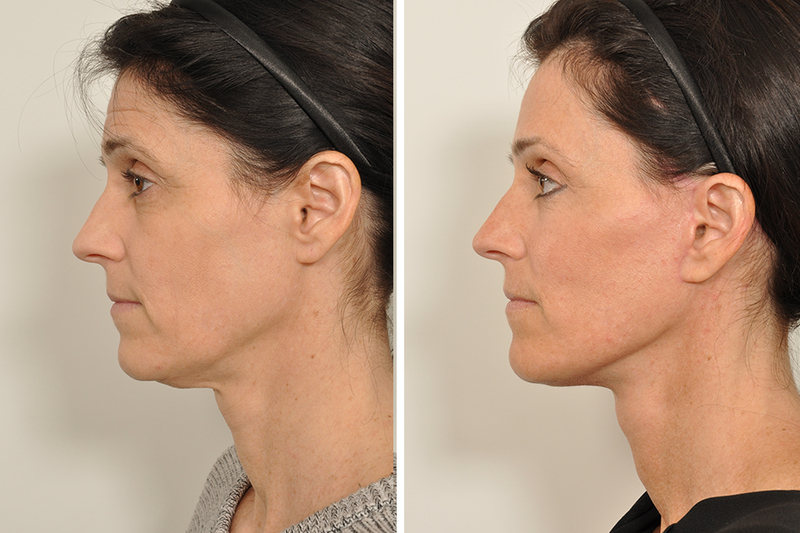 Specifically, Dr. Rosenberg’s facelift elevates the entire platysma muscle. 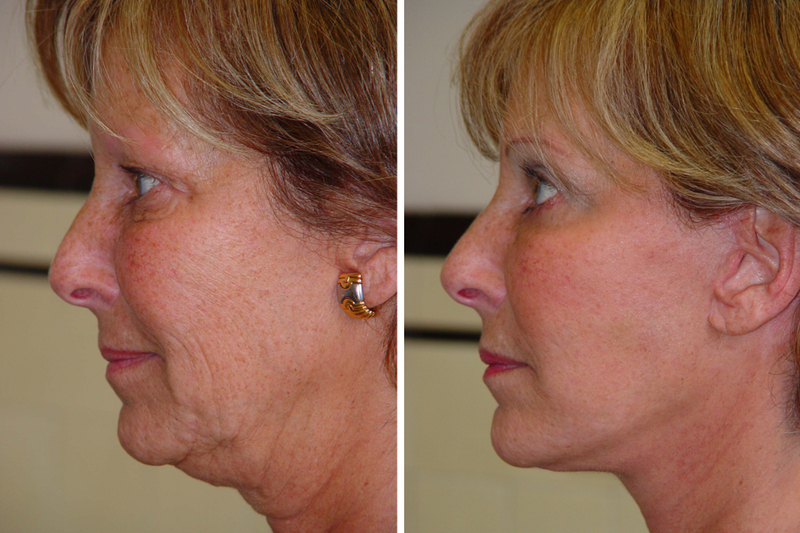 It is this sheet-like muscle that falls with age and simultaneously causes jowls and a hanging neck. 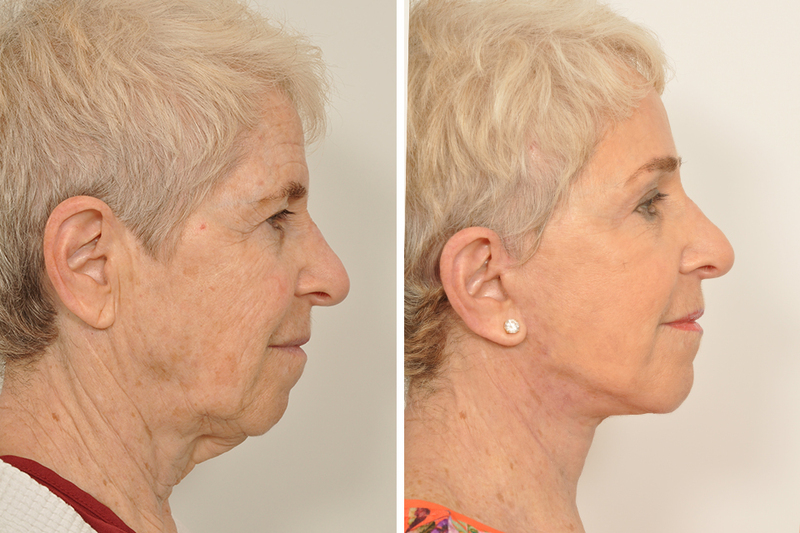 For this reason, Dr. Rosenberg tightens the complete platysma muscle with stitches under the skin and thereby re-defines the jawline and neck. 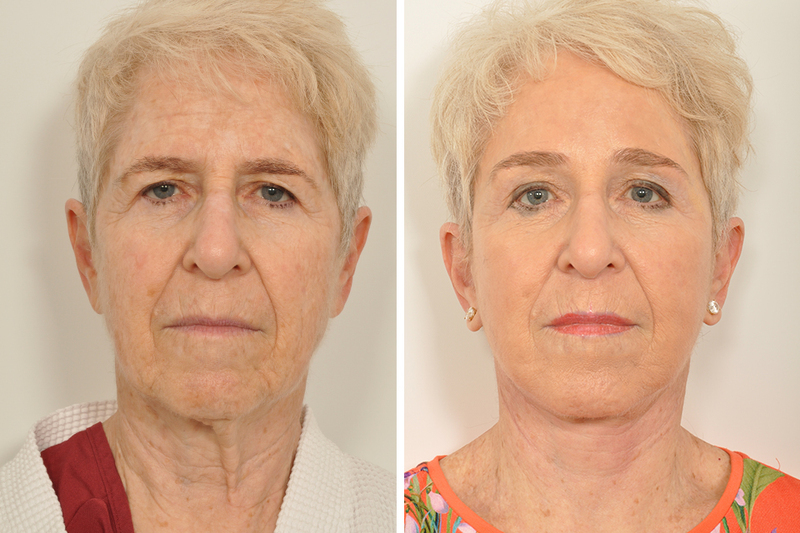 Many patients requesting consultations for face lifts notice their aging faces are not consistent with their youthful energy. 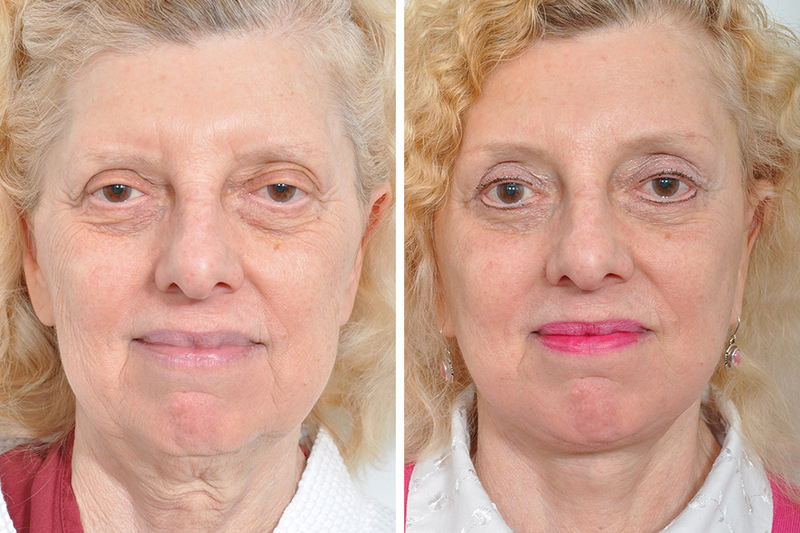 In other words, they feel a “mismatch between how they feel and how they look.” After surgery, this imbalance is gone, and patients notice their faces appear refreshed, defined, and vibrant, matching how they feel inside. 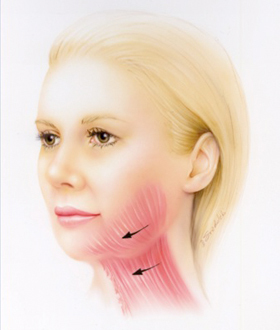 These two custom drawings depict Dr. Rosenberg’s platysma muscle suspension technique and may help you understand the concept of his operation. 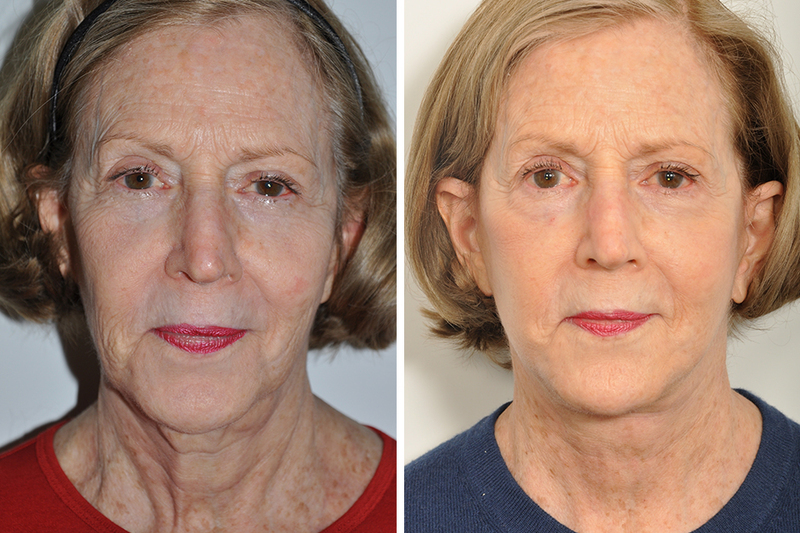 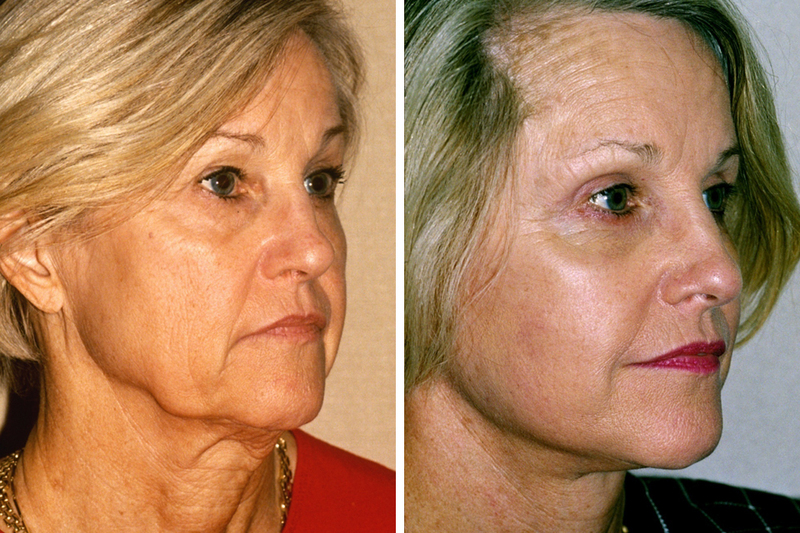 In the left picture, the aging face reveals descent of the muscle with attendant jowls and a loose neck. 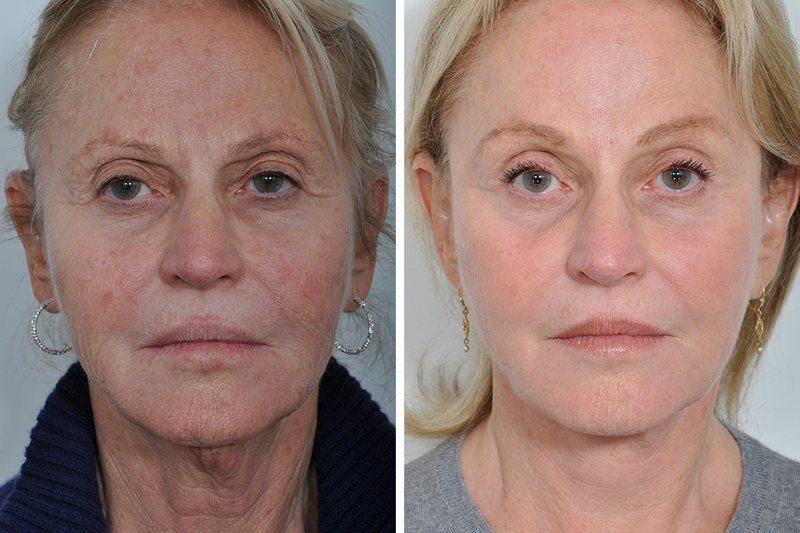 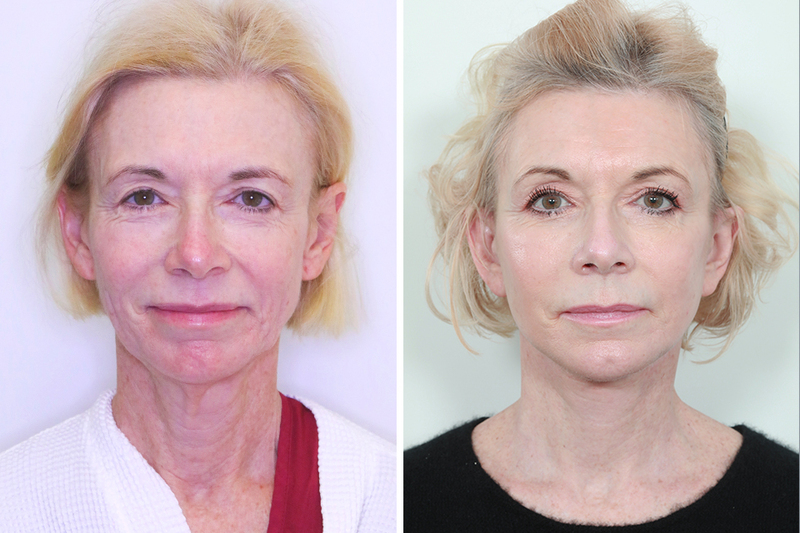 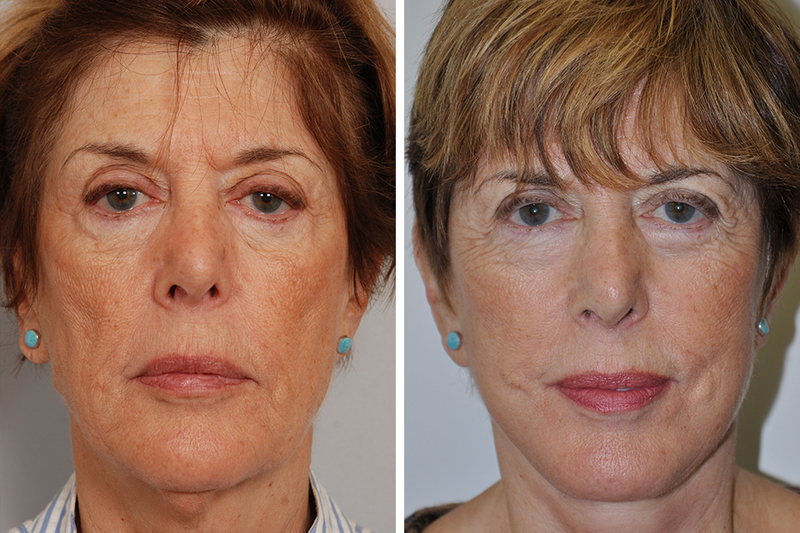 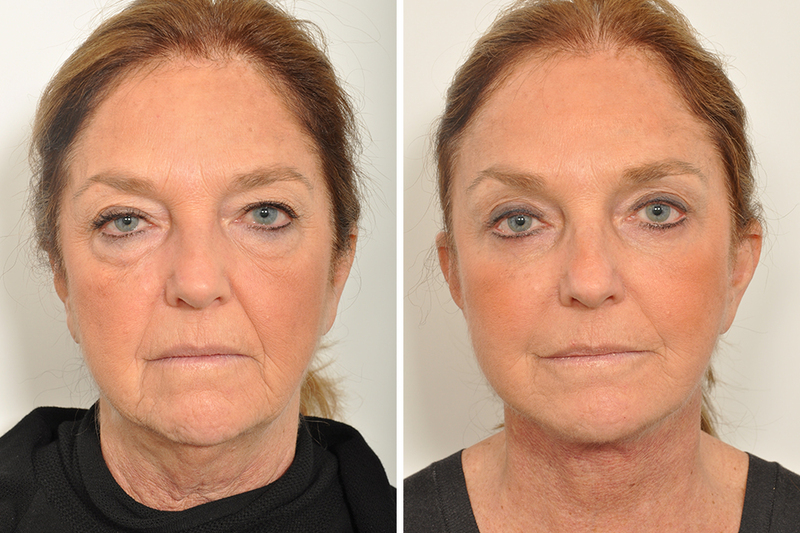 On the right, Dr. Rosenberg’s facelift has tightened the platysma muscle with dissolvable stitches placed under the skin. 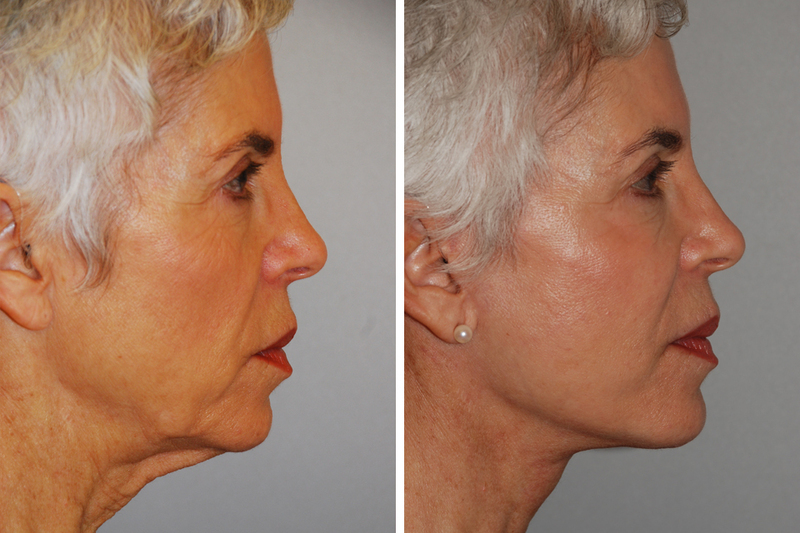 This restored the foundation of the face and redefined the jaw line and neck. 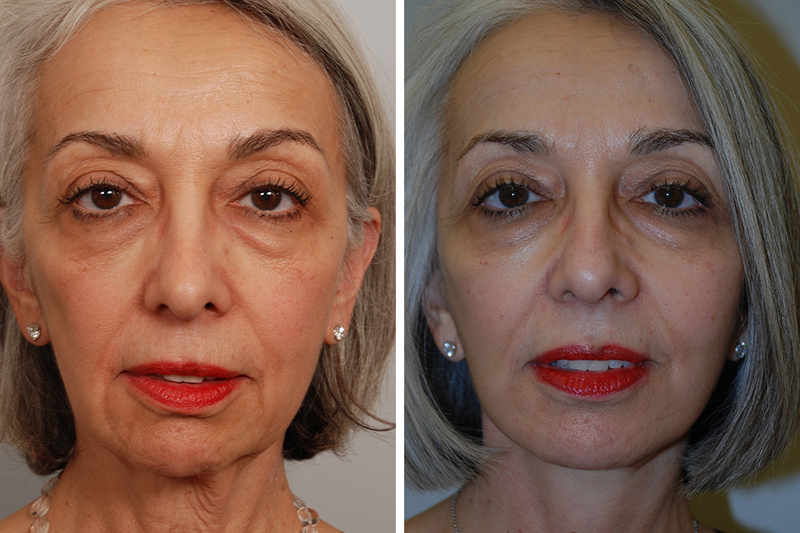 Technically known as “rhytidectomy,” a face lift is often performed in conjunction with an endoscopic brow lift, blepharoplasty, rhinoplasty, or laser skin resurfacing. 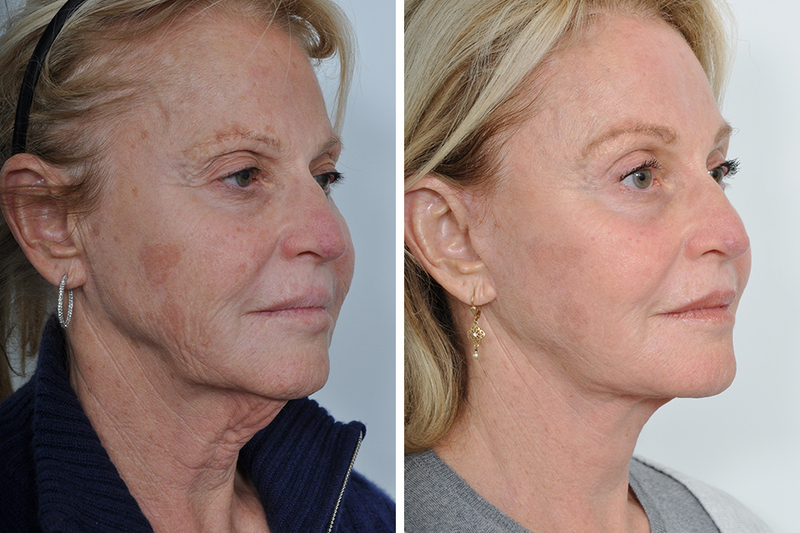 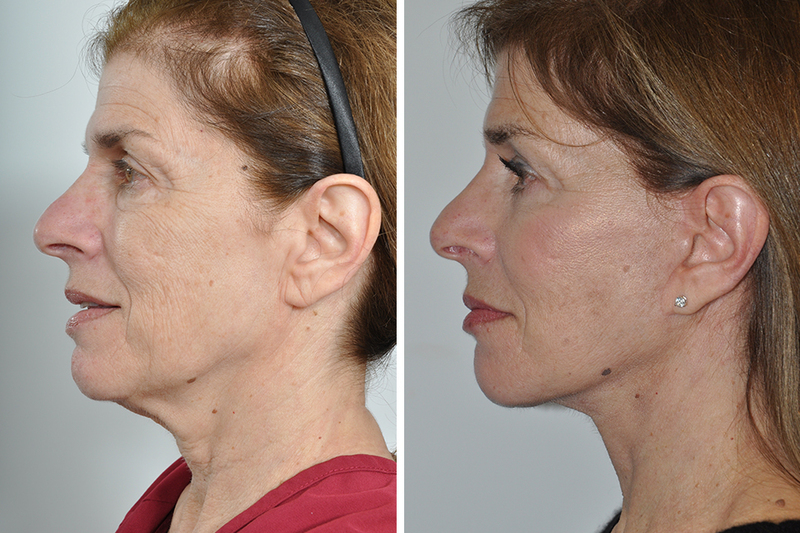 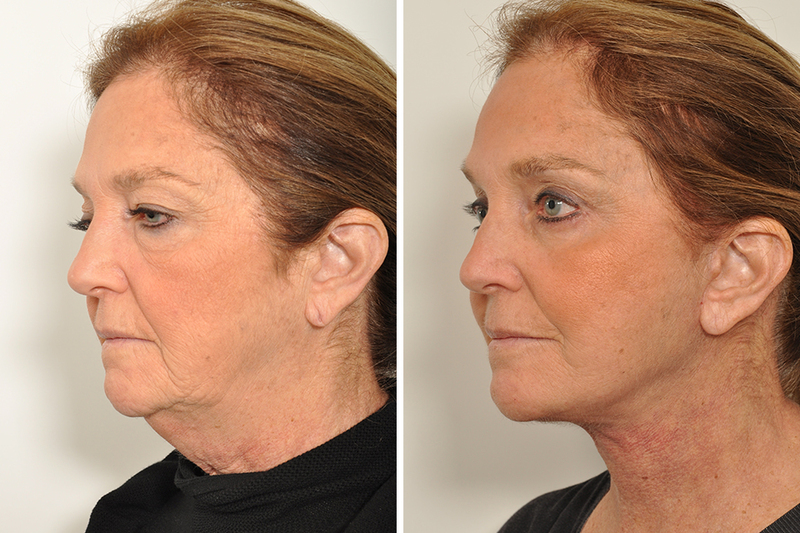 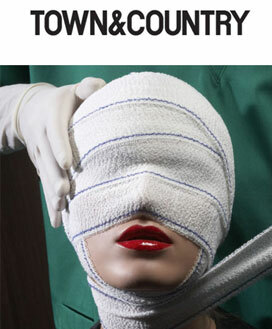 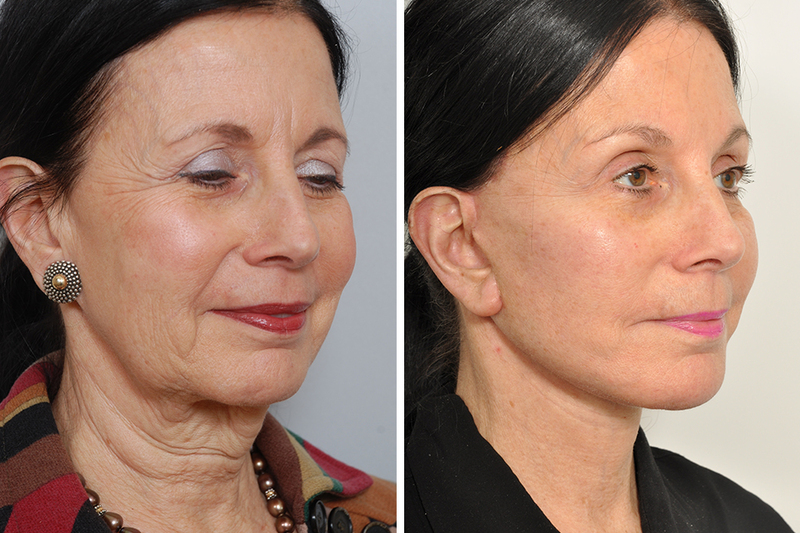 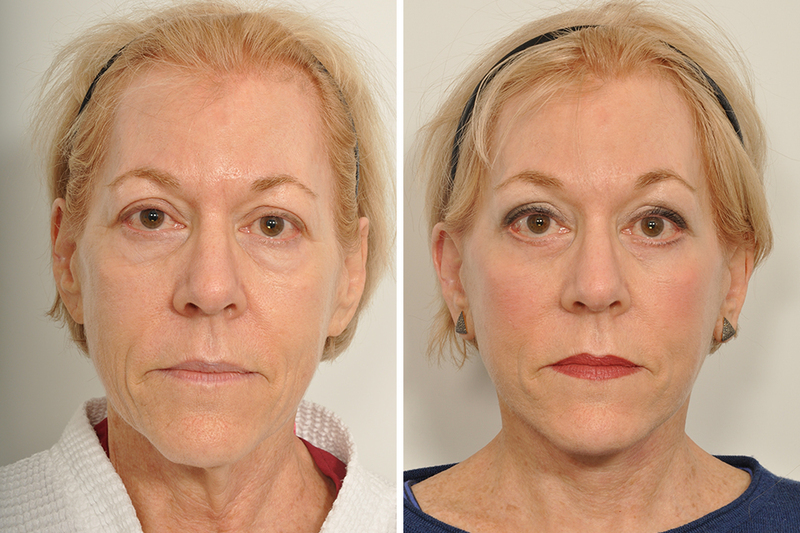 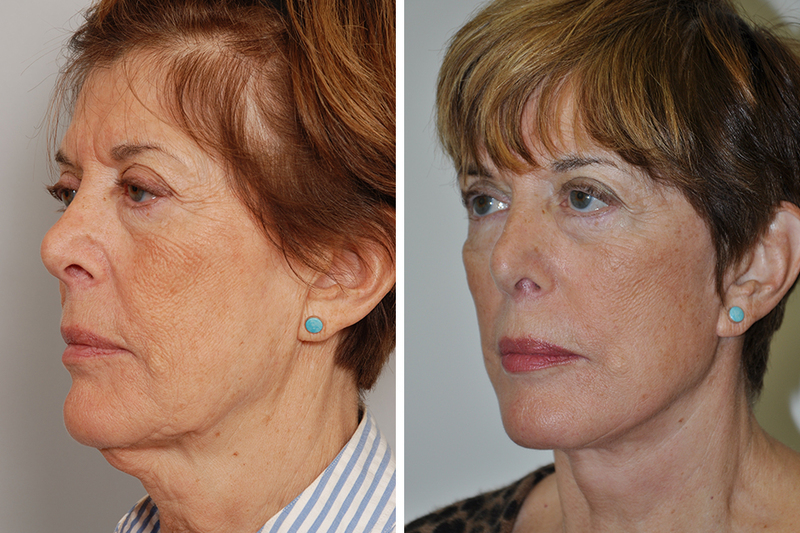 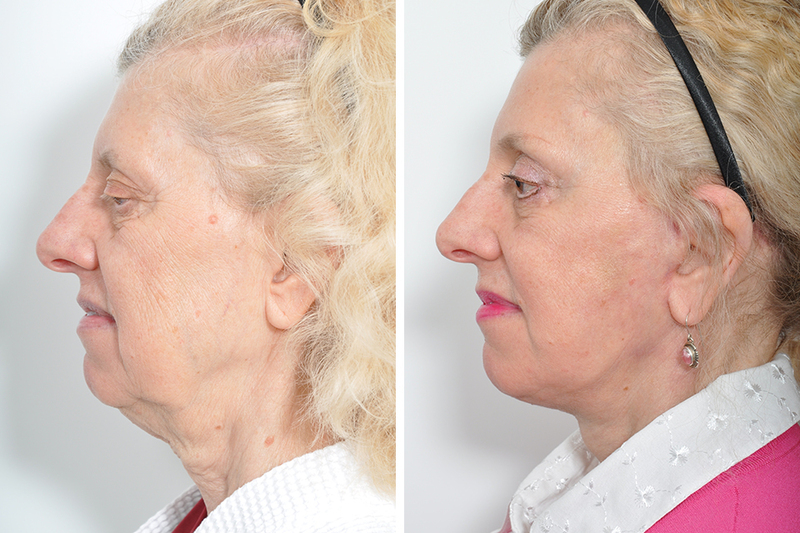 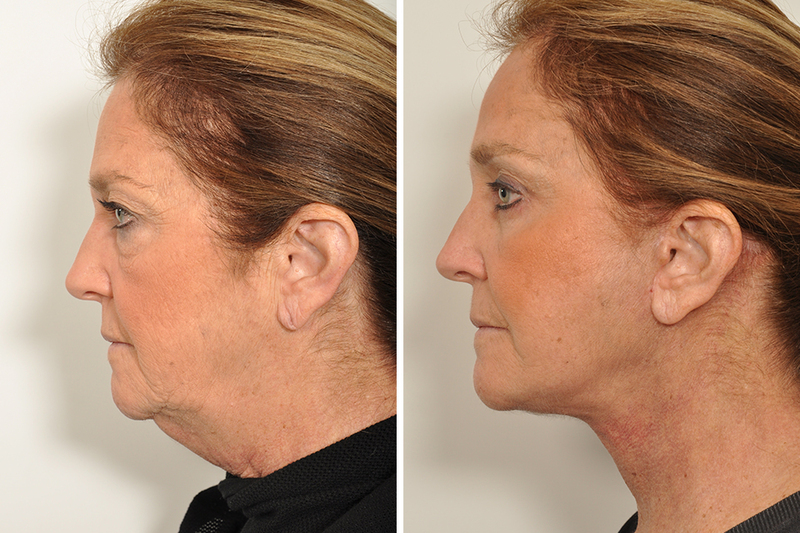 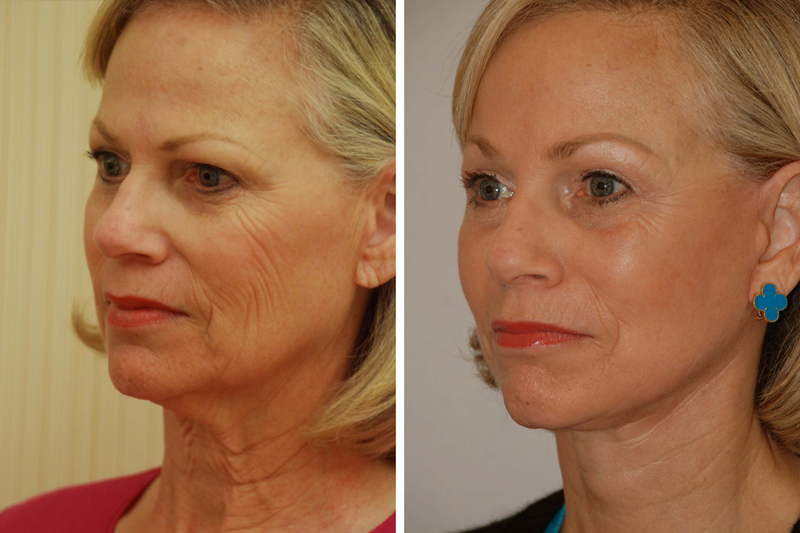 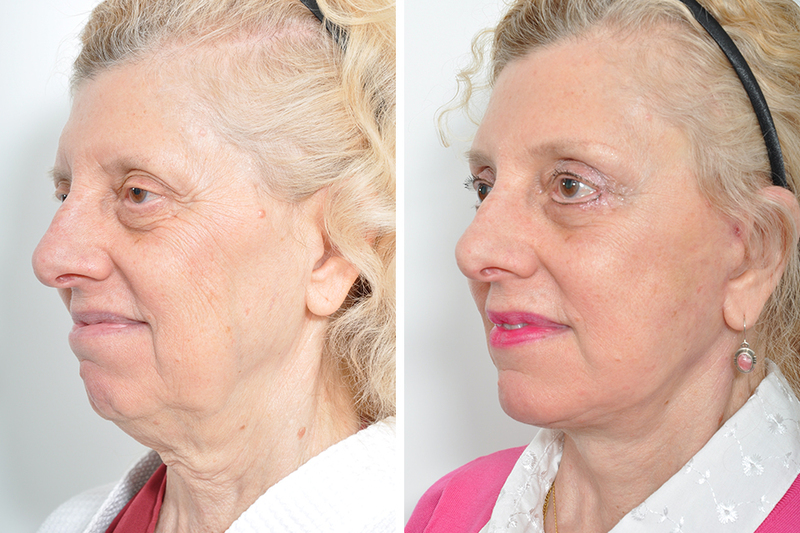 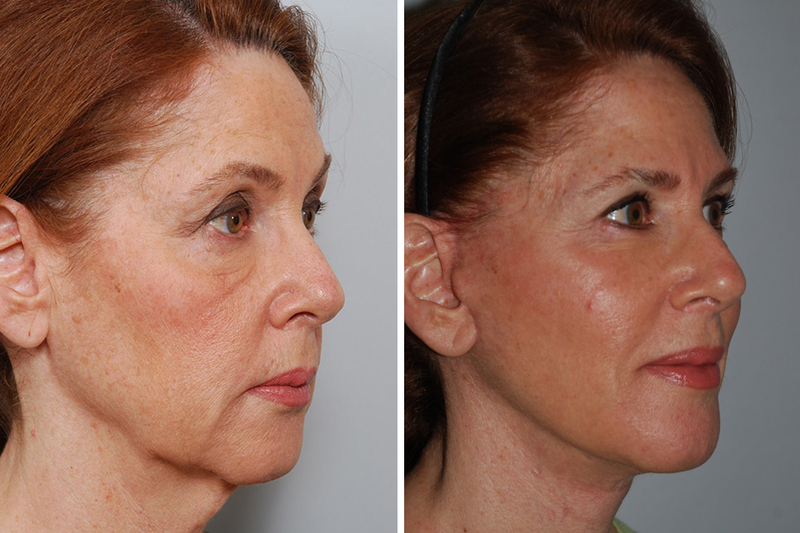 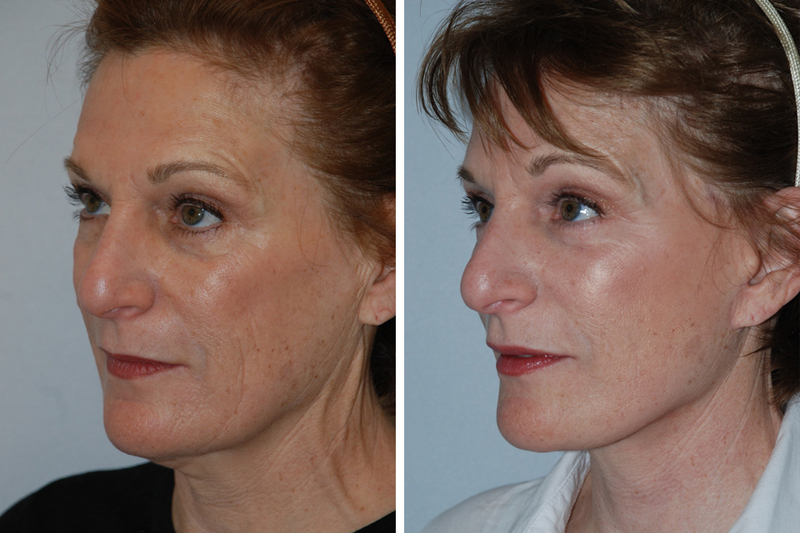 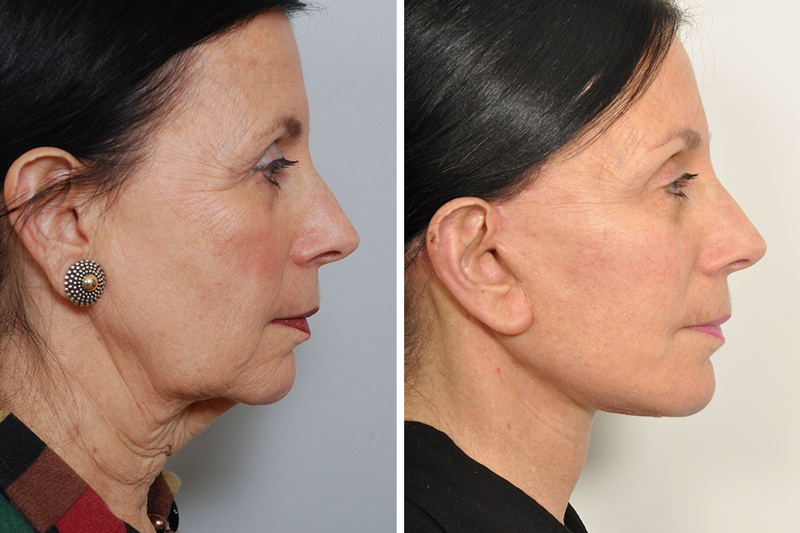 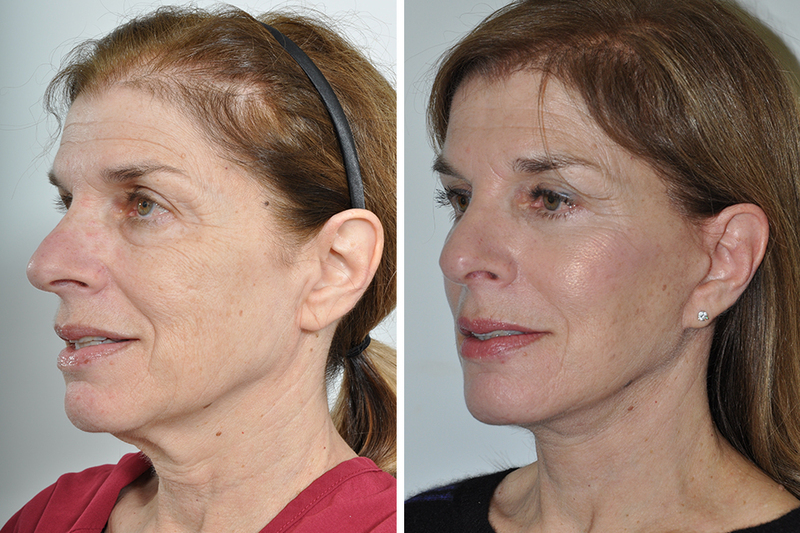 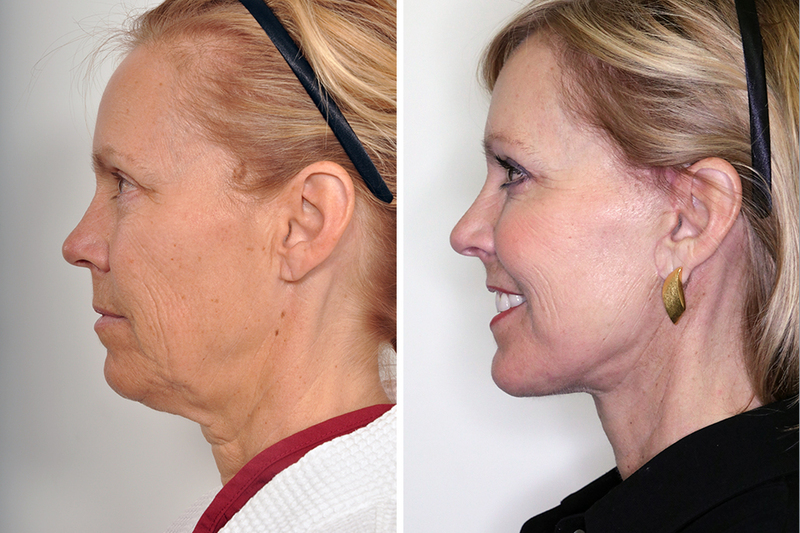 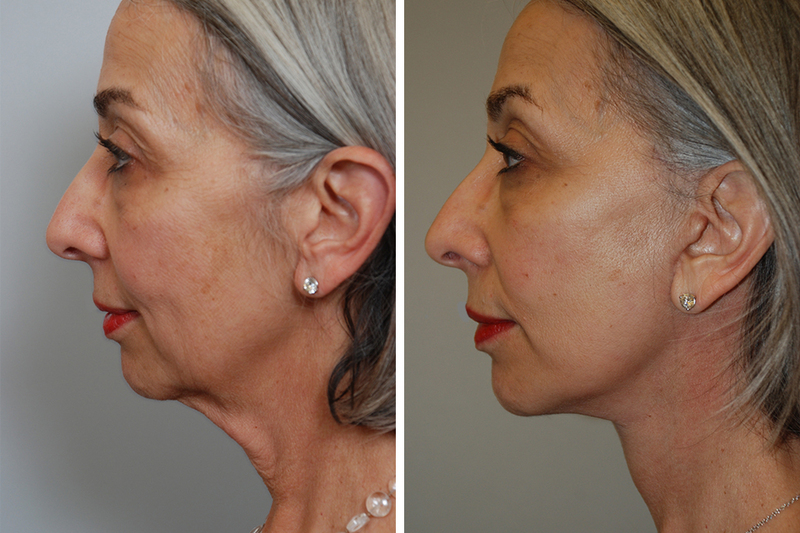 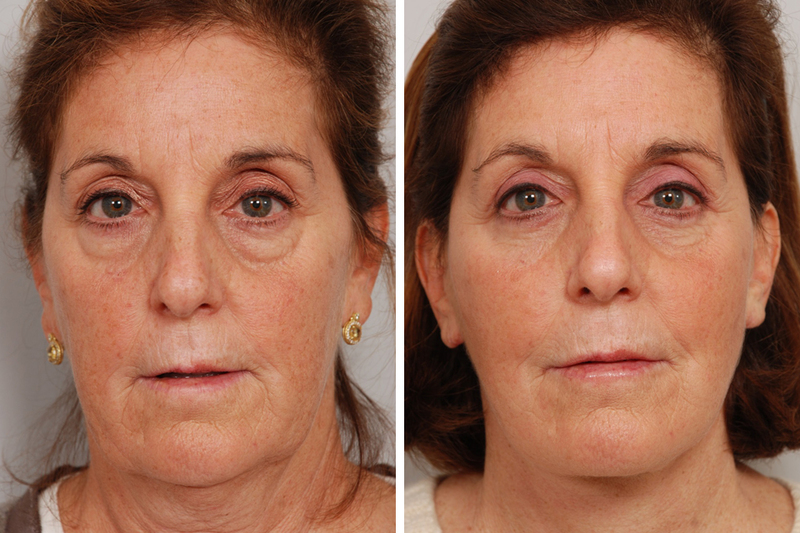 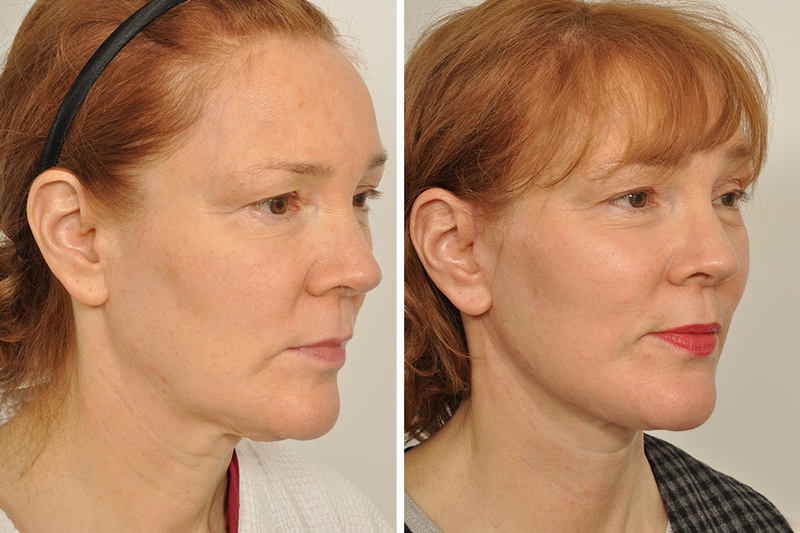 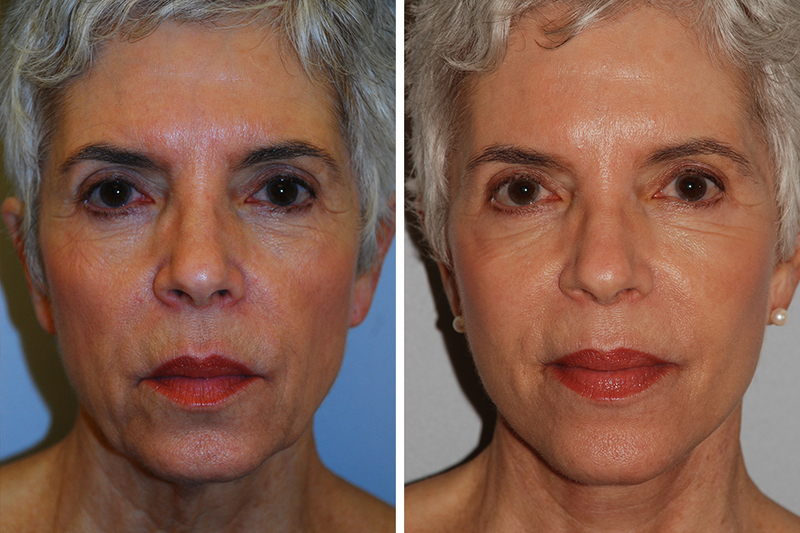 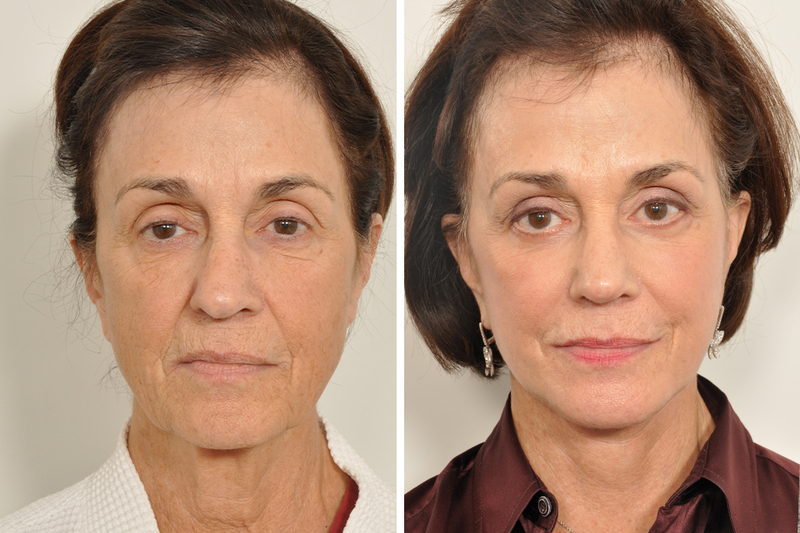 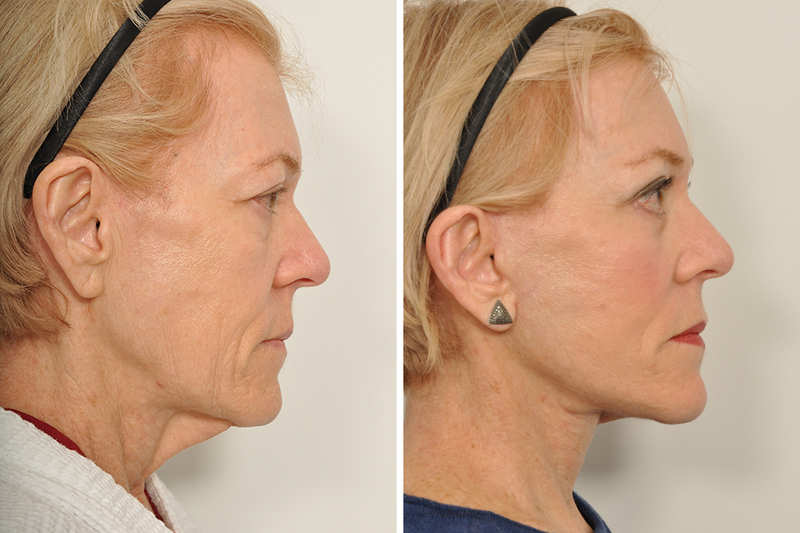 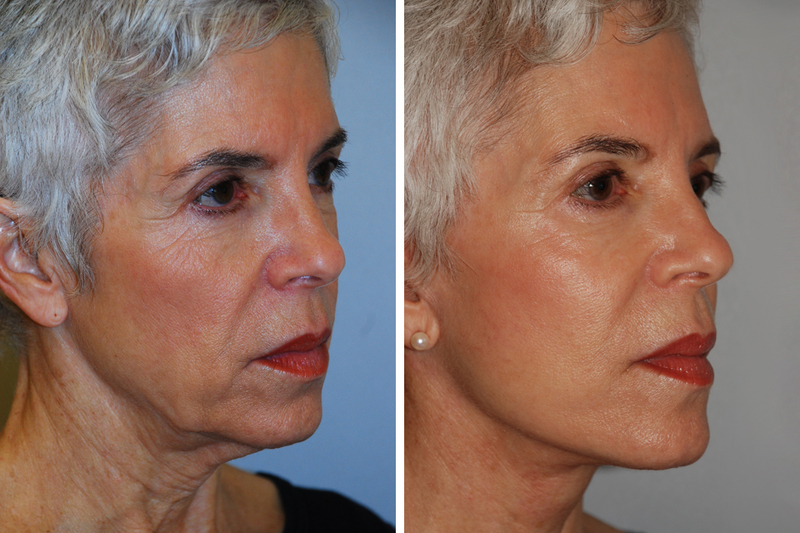 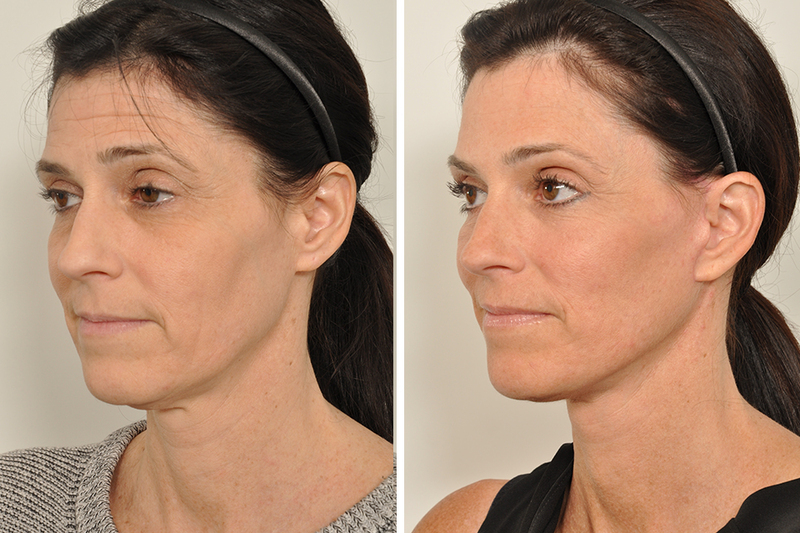 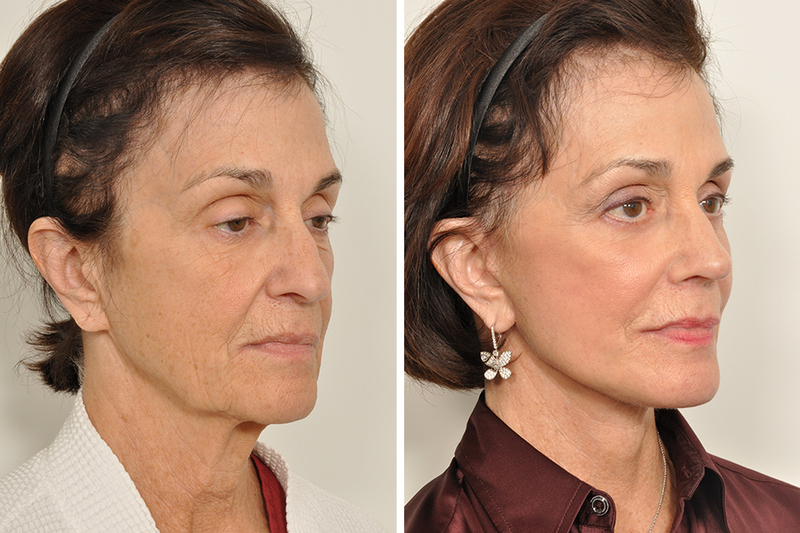 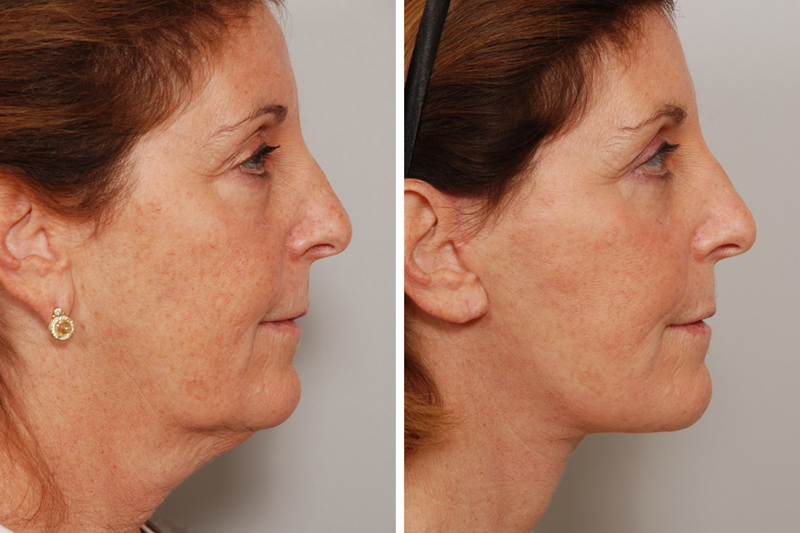 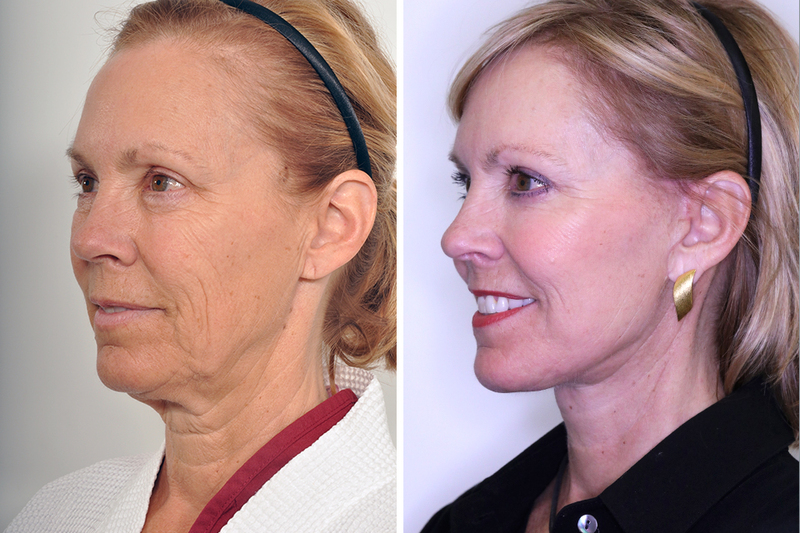 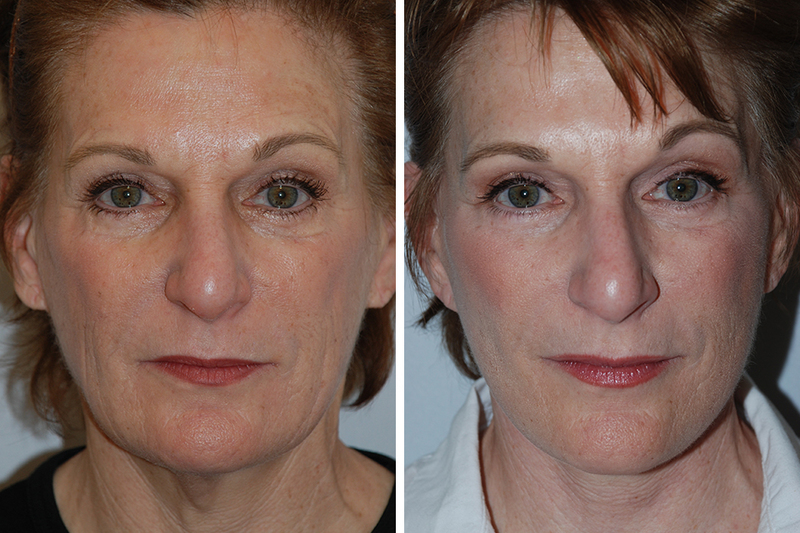 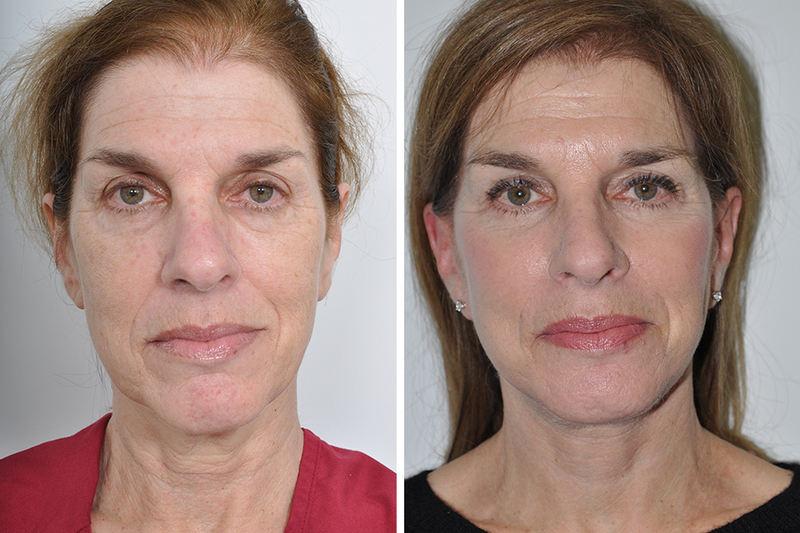 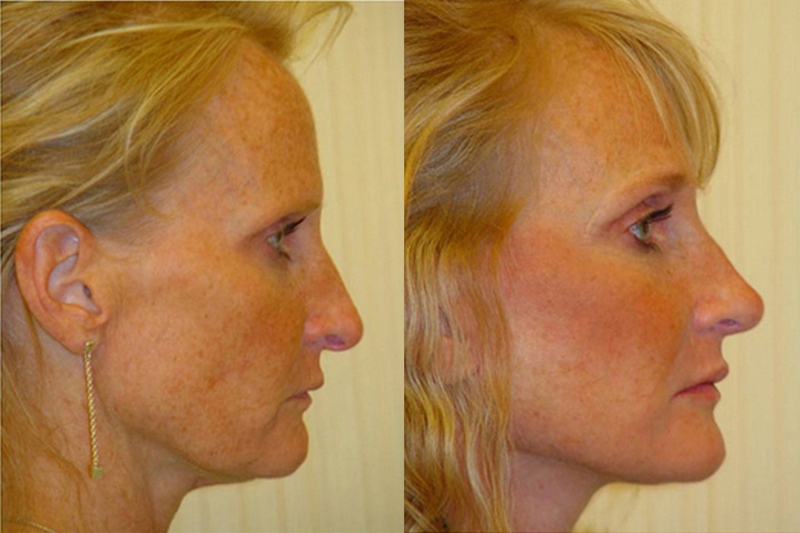 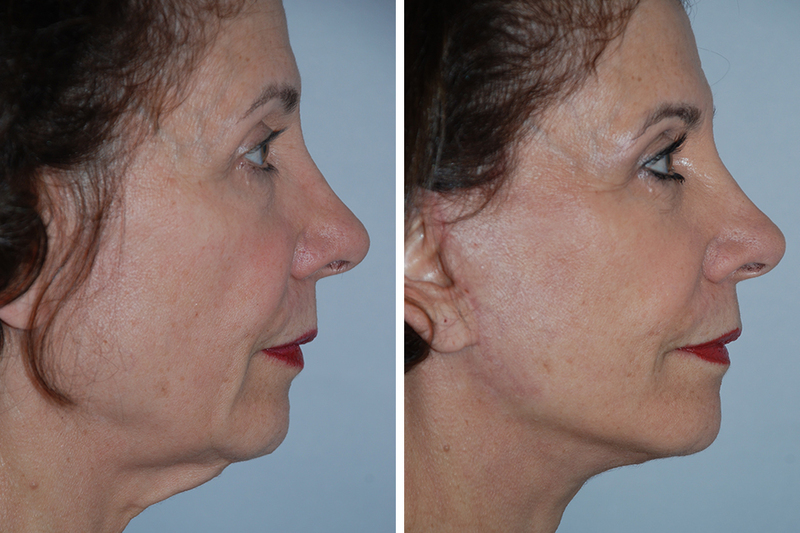 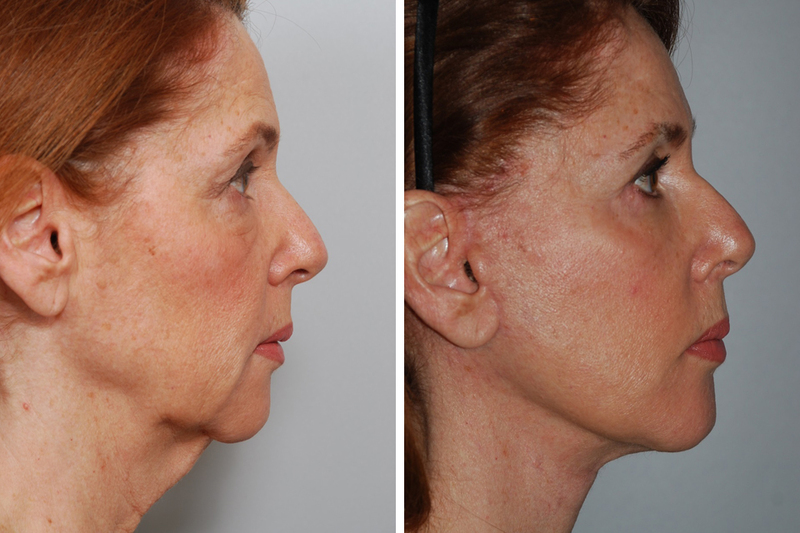 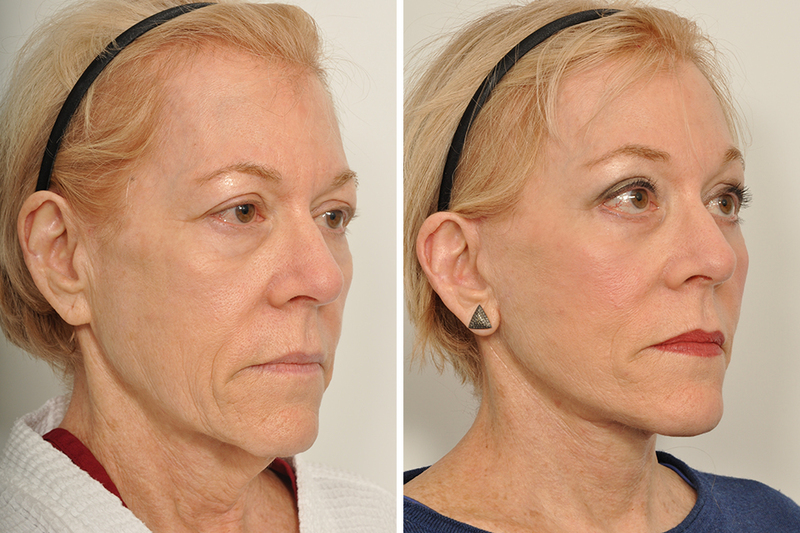 Dr. Rosenberg’s facelift tightens the platysma muscle with dissolvable stitches placed under the skin. 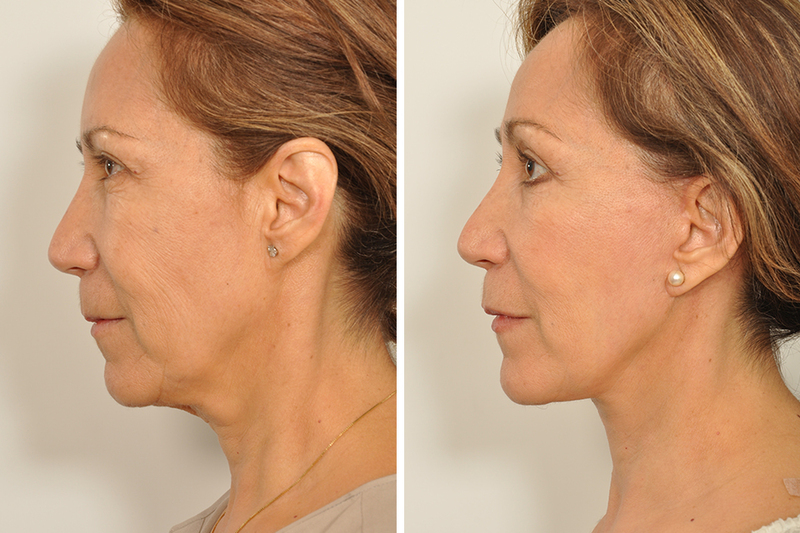 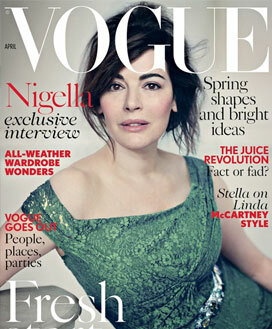 This restores the foundation of the face and redefines the jaw line and neck. 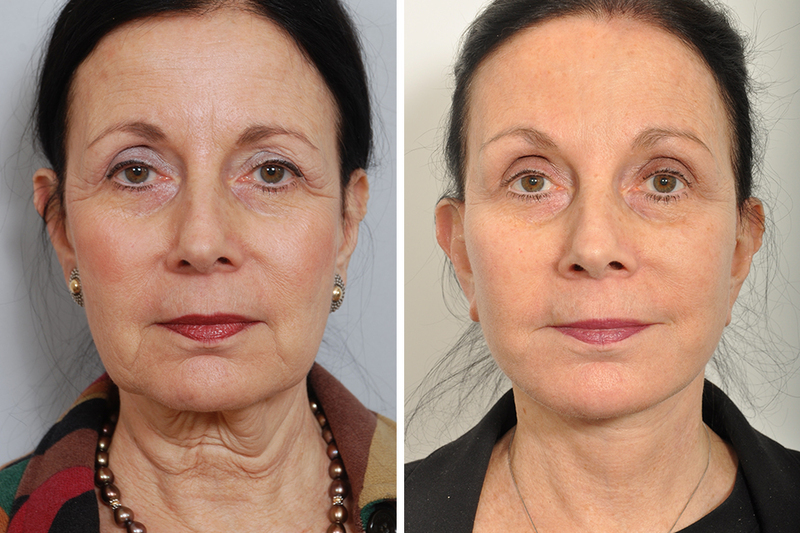 The aging face reveals descent of the muscle with attendant jowls and a loose neck.